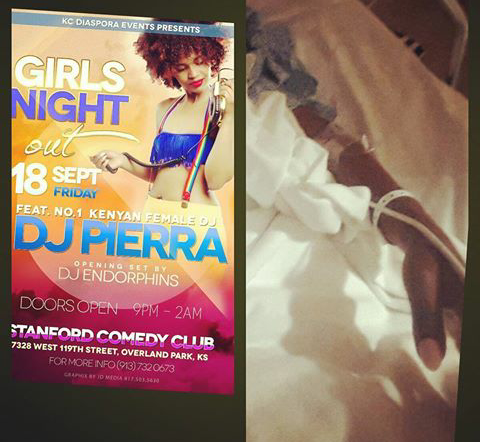 Kenya’s finest female Deejay DJ Pierra Makena was recently hospitalized making her unable to entertain her fans at Kansas. The pretty and s3xy Deejay who is currently at the US for a music tour was scheduled to perform at Kansas City but she fell ill.
Kansas city I am sorry the gig will not be happening tonight as planned.i fell ill and had to be in hospital . however I’m out of hospital and will travel tomorrow and we will have the gig on 20th instead….looking forward. .same venue!! !